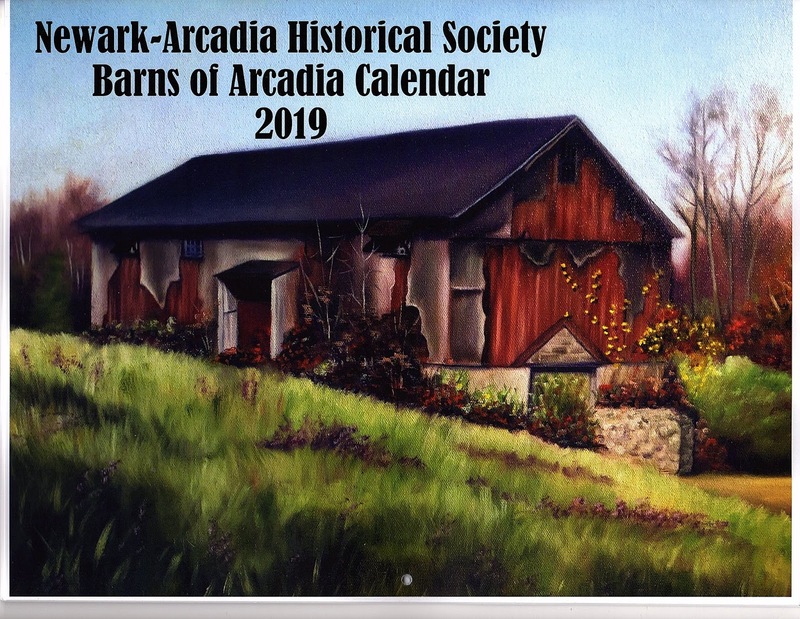 The 2019 Barns of Arcadia calendars are available in the Newark-Arcadia Museum Gift Shop, or by mail! Priced at $10, all proceeds benefit the museum. In full color, there are 11 photos and one painting by Newark artist Sharon Weimer on the cover. There are barns from both the 2016 & 2018 Barn Tours, as well as five from the "Day in the Life of Newark & Arcadia" photo contests. They would be happy to mail calendars for only $2.00 extra, or $3 for two or more. Send check to: N-AHS, 120 High St., Newark, NY 14513. The Museum Gift Shop is open Saturdays, 1:00 - 3:00 p.m. (or call to stop by other times at 315-331-6409)! 0 Comments to "2019 Barns of Arcadia Calendars Make Great Gifts "